Breathable and hydrophobic hat with Arc'teryx logo on the front. 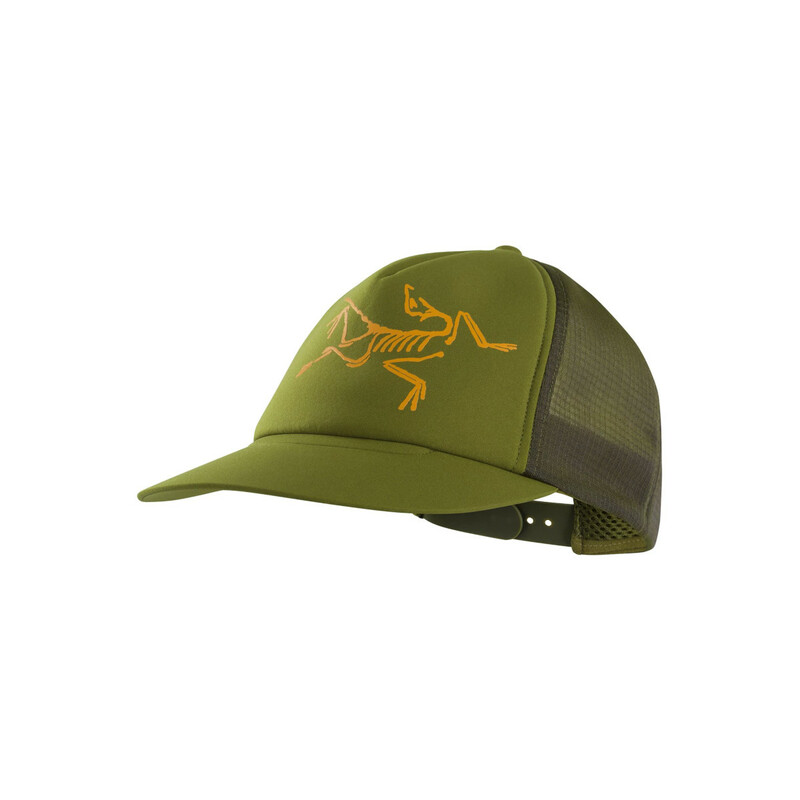 Very breathable and hydrophobic trucker hat. It is lightweight and has a polyester plain weave front panel and a spacer mesh sweatband.